If you have read the 10 Promises to My Dog, you must remember the moving script: because of the family's negligence, Socks was lost. But with the help of a good-hearted person, Socks was returned home safely. 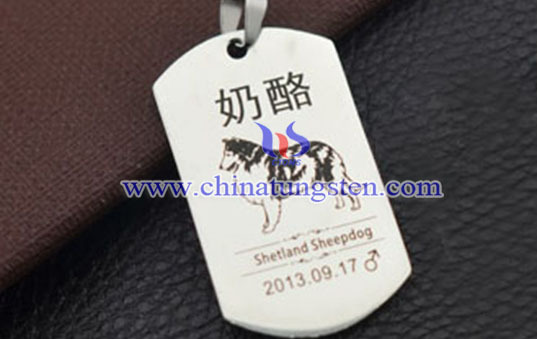 The good result is due to the identity card hung on the neck of the dog. That makes the good-hearted person find the owner of Socks. 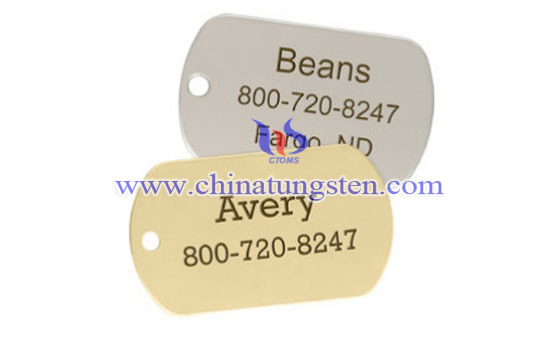 The dog lost can be seen everywhere in life, so in order to reduce the occurrence of similar incidents, rectangle tungsten dog ID tag is designed. 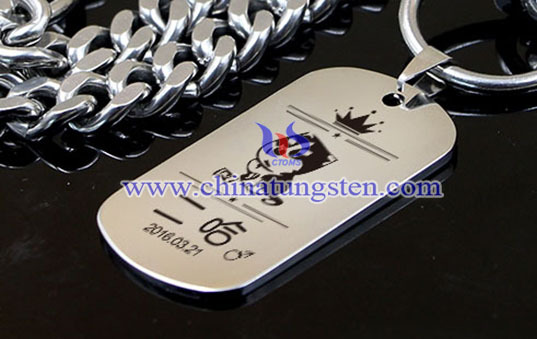 The name, gender, birthday, breed, and corresponding pattern of the pet will be engraved on the front side and the back side engraved with home messages and telephone numbers. Once the pet is lost, just look at the information on the tag and call the phone number, the pet would go home safely. 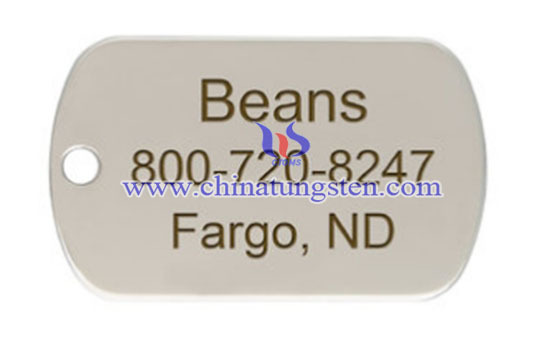 If you have any interest in rectangle tungsten dog ID tag, please feel free to contact us by email: sales@chinatungsten.com sales@xiamentungsten.com or by telephone:0086 592 5129696.